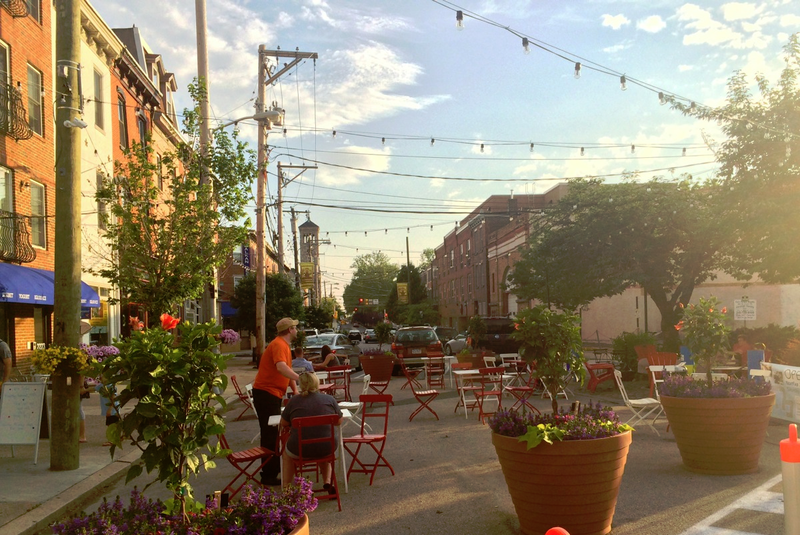 Bloc 23 is situated in the Graduate Hospital neighborhood of Southwest, City Center Philadelphia. The Graduate Hospital neighborhood, nestled between University City and Center City Philadelphia, is a vibrant, clean, and family orientated area. It is home to several churches, community orgs, outdoor spaces, small art galleries, and boutiques as well as high-end restaurants, bars, and gastro-pubs. It is bordered on the North by South Street, on the South by Washington Avenue, on the West by the Schuylkill River, and on the East by Broad Street. The neighborhood is adjacent to Fitler Square and Rittenhouse Square to the North and Point Breeze to the South. The neighborhood has many names. Since the 1980’s, it has often been referred to as Graduate Hospital, after the medical facility that sits on its’ Northern edge. This name has become merely historical in nature since the hospital closed in 2007. Despite this, the name is still used and is sometimes shortened to G-Ho. G-Ho is also variously known as South of South, SoSo, Naval Square, or Schuylkill-Southwest. Devil’s Pocket is another nickname used for a smaller corner of Graduate Hospital.